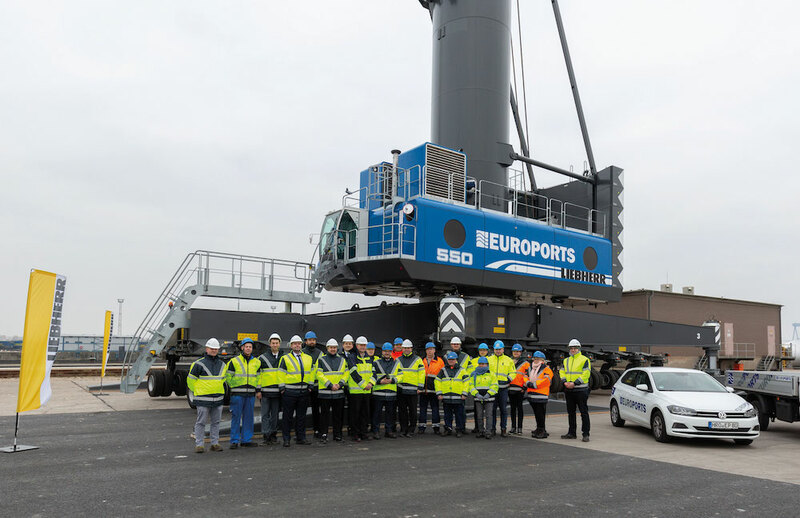 Euroports Germany has recently taken a delivery of the first out of two Liebherr LHM 550 in order to increase the turnover at the multipurpose terminal in the Port of Rostock, Germany. Both cranes come in a two-rope configuration with a maximum lifting capacity of up to 144 tonnes and a maximum outreach of 54 metres. The difficult conditions at the Euroports pier were a challenge in the configuration process. Liebherr has found a custom-made solution with specially adapted double supporting pads in order to comply with the prescribed ground pressures. Ordered in 2018, one of the two cranes was shipped fully assembled in mid-December from the Liebherr plant to the 500 metres distant pier of Euroports. The machines will be used for different applications like project cargo, bulk and containers.